Hexarelin is a synthetic GH secretagogue, structurally similar to GHRP-6, which is in the growth factor family known as Growth Hormone Releasing Peptides or GHRPs. The results of several studies conducted on both mice and rats has led to the conclusion that Hexarelin is one of the most powerful GH-Releasing Peptides. Hexarelin, unlike GHRP-6, does not increase appetite because of its inability to drastically increase Ghrelin levels, which is responsible for the increased appetite and quicker gastric emptying. 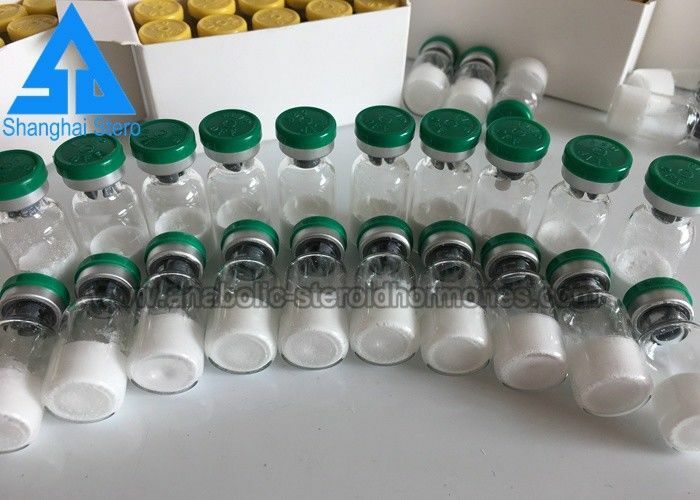 Hexarelin is a synthetic growth hormone secretagogue made from six amino acids. Hexarelin is becoming a popular choice as a performance enhancement drug. Hexarelin is currently available from several research companies. 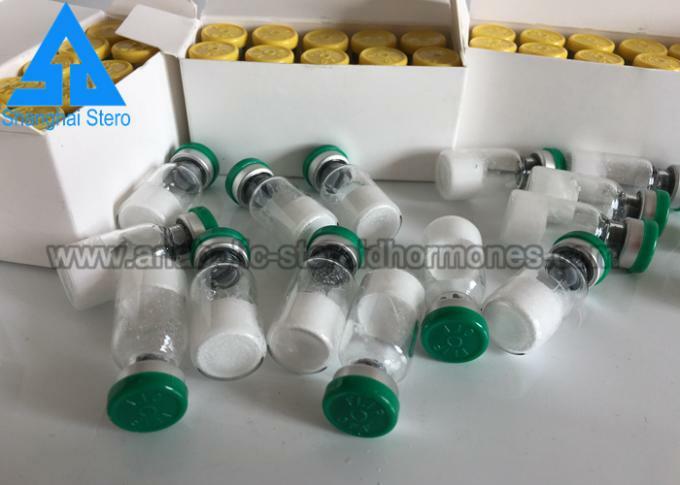 Due to Hexarelin ability to increase secretion of natural Growth Hormone, most of its effects are similar to those of synthetic GH, although to a slightly lesser extent. Hexarelin (Hexarelin Acetate) is similar in structure to GHRP-6 but without the appetite increase because of its inability to drastically increase Ghrelin levels which is responsible for the increased appetite and quicker gastric emptying. 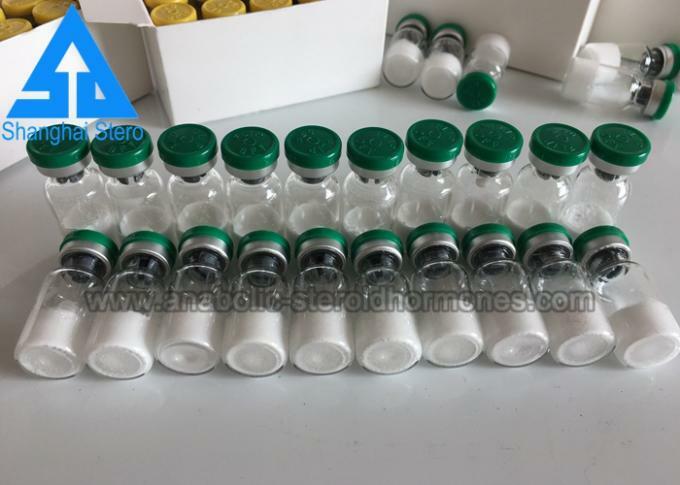 Hexarelin is a synthetic growth hormone secretagogue made from six amino acids. It contains powerful growth hormone releasing properties in the human body. Effects of its use include: increase in strength, growth of new muscle fibers, increase in the size of already existing muscle fibers, neural protection, joint rejuvenation, protection and healing. Also, the GH receptors in adipose (fat) tissue allow for potential fat reduction with Hexarelin use. The increase of circulating GH through Hexarelin use causes levels of Insulin-Like Growth Factor (IGF-1) to rise in the liver. IGF-1 is the prime cause of muscle growth in response to GH stimulation. Injecting Hexarelin, the user will experience all of the effects of both Growth Hormone as well as IGF-1. However, since Hexarelin actually stimulates the body to produce more GH, it may be likely that the eventual shutdown of the body’s natural GH production may be avoided, as is seen with injectable GH. For this reason, many athletes use Hexarelin alone, but others have used it after a Growth Hormone or Insulin-Like Growth Factor one cycle, to “jumpstart” their own natural GH and IGF-1 production. What are the benefits of Hexarelin? The strongest pulse in GHRP. Increase LBM (lean body weight). Anti-aging properties cure the skin. Cardiac protective properties suggest that the heart tissue can be healed. Hexarelin is administered by subcutaneous injection. It will enter in the form of dry powder, and mixed with antibacterial water. Every day 200mcg seems to be the best dose for most of the benefits, although some may be up to 400mcg per day. However, the use of 400mcg users every day will risk the risk of pituitary nourishment. Most data show that high doses of Hexarelin do not exceed the benefits of 200 mcg per day. As it does not occur in time, 16 weeks using the maximum is the general recommendation, at least 4 weeks no longer use, start again. Most users will find 8-12 weeks is the most effective and useful time frame.